This past September, the Ocean Technology Foundation (OTF) partnered with the U.S. Navy, the British Royal Navy, and the French Navy, to conduct a 10-day search for the remains of the Revolutionary War ship BONHOMME RICHARD. They searched an area approximately 70 square miles, and located 35 sonar targets that were deemed worthy of further investigation. The location of the wreck is presumed to be in approximately 180 feet of water off Flamborough Head in Yorkshire, a headland near where her final battle took place. This year’s search yielded several promising targets. One in particular is clearly a debris field with some large man-made objects scattered on the ocean floor. OTF will return to the North Sea again next summer with a Remotely Operated Vehicle (ROV) to get a closer look at the sites of interest. The Military Sealift Command’s oceanographic survey ship USNS HENSON (T-AGS 63) served as the platform for the search off the coast of Flamborough Head, England, while a team of representatives from OTF, the Naval Oceanographic Office, the U.S. Naval Academy, and the Naval History and Heritage Command conducted the search and identification. The team used state-of-the-art underwater survey technology to map the ocean floor and a free-swimming underwater vehicle, a REMUS 600 equipped with side-scan and multibeam radar, to conduct underwater searches. 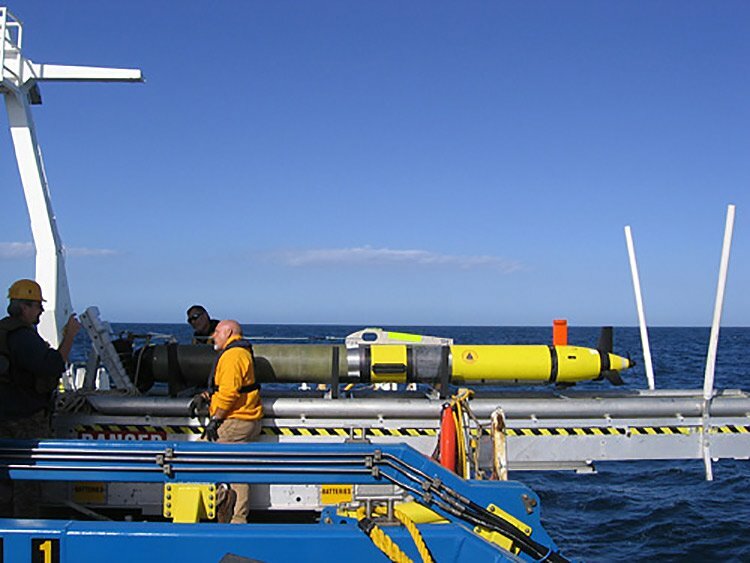 The Office of Naval Research’s underwater vehicle Bluefin BMI equipped with bottom object scanning sonar, was also used. A computer program developed by the faculty of the U.S. Naval Academy integrated historical data, weather and tidal information, crew actions and last known position to establish where the ship might have sunk. Four midshipmen from the U.S. Naval Academy participated in the survey. They made significant contributions to the mission, and the survey team appreciated having four extra sets of eyes and hands to help out 24/7. All of the midshipmen had excelled the Academy’s online course, titled “Historic Shipwrecks,” which was developed by the Ocean Technology Foundation. 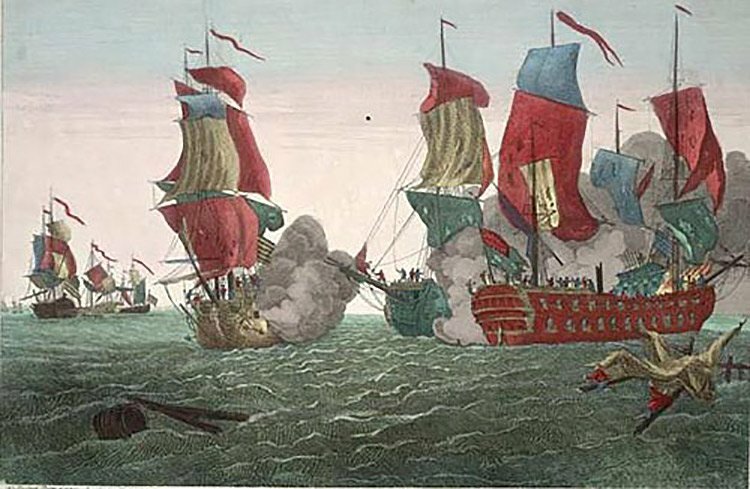 BONHOMME RICHARD, the ship commanded by U.S. naval hero John Paul Jones, was lost off the coast of England in 1779 after a decisive battle with HMS SERAPIS, during which Jones shouted his famous words “I have not yet begun to fight.” Although Jones emerged victorious, his ship was damaged in the battle and sunk 36 hours later. The BONHOMME RICHARD was originally a merchant ship built in France in 1765 for the French East India Company. In that capacity she sailed between France and the Orient until purchased by King Louis XVI of France in early 1779 and placed under the command John Paul Jones. Jones renamed the ship BONHOMME RICHARD, to honor Benjamin Franklin, the American Commissioner at Paris whose Poor Richard’s Almanac had been published in France. At a length of 152 feet, the vessel had a complement 380 men and an armament of six 18-pounders, twenty-eight 12-pounders, and eight 9-pound cannons. 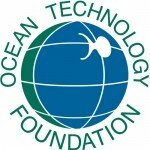 This is the fifth expedition organized by the Ocean Technology Foundation and the most substantial support by Navy assets. The number of other wrecks in the area and a century of fishing trawling operations have complicated previous searches. 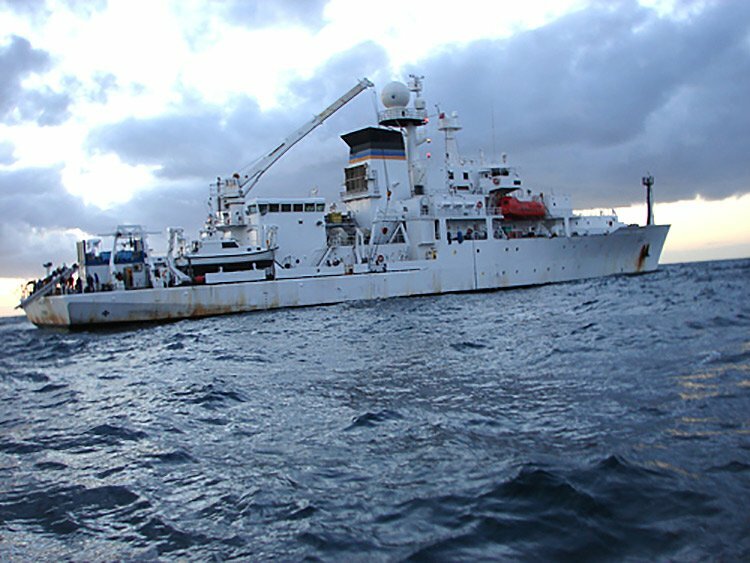 The Office of Naval Research has previously provided some funding and the NR-1 research submarine to the 2008 expedition. The Naval History and Heritage Command’s underwater archeology branch has been involved in all previous expeditions but this is the first time the U.S. Navy’s Military Sealift Command has provided an oceanographic survey ship and crew.